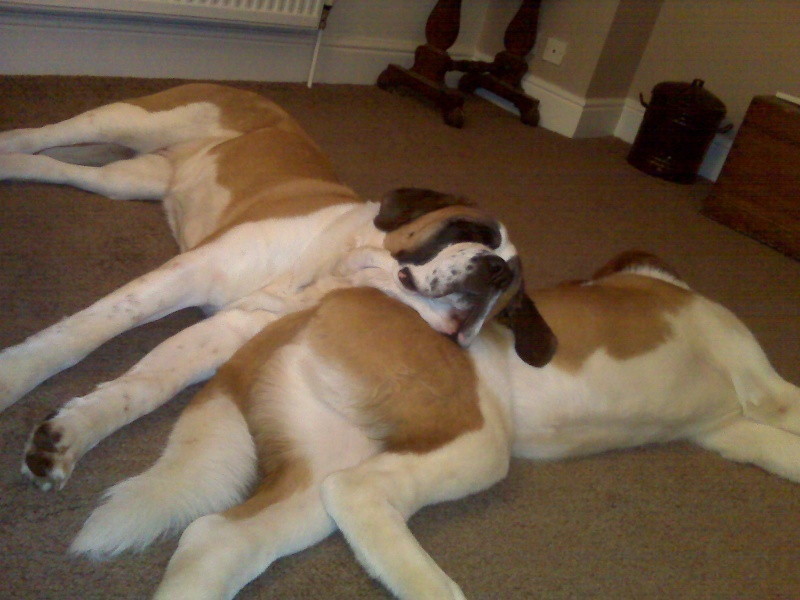 Anya decided to use Nelson as a pillow and snored gently to her heart's content!! nowt as comfy as another dogs belly . lol. How sweet! Little cuddle bunnies! what beautiful dogs you have there!!! No need to ask whether Anya and Nelson get along then!!! Looking at the two of them it's striking that not only have you got two very beautiful dogs but that your Nelson is already a very big boy!!! Happy New Year to all the family!! Yes they do get on very well - they play in the garden for hours - especially when we had the snow. Nelson is now a good 3" taller than Anya and his feet just seem to get bigger!! But that said he is a gentle giant and very loving! Subject: Re: How cute is this!